I am a certified dietitian, as well as a pedagogue and culture expert which allows me to take a broader look at issues related to healthy eating. 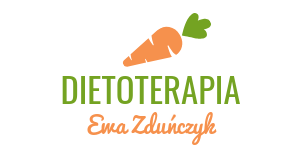 As a member of Academy of Nutrition and Dietetics (USA) and Polish Association of Dietitians, I participate in many scientific conferences and trainings. My professional interests focus on diet therapy in the polycystic ovarian syndrome (PCOS) and autoimmune and metabolic diseases. I also specialize in creating plant based diet plans.